'Words To Say' is a great example of modern pop production with a blend of acoustic and electronic drums, layered synths, guitars tracks, and tons of cool subtle production tricks. You may have seen producer Fab Dupont and the South African band The Arrows take the song ‘Words to Say’ from demo track to a mix-ready session in Start to Finish: The Arrows - Production . 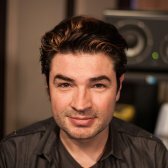 In this 80 minute tutorial, Fab Dupont breaks down his final mix of that same Pro Tools session. Since this is an enormous session, instead of starting the mix from scratch, Fab deconstructs the mix from the final record. Track by track, he analyses every setting and explains the thought process behind all of his mix decisions. Fab shares all the tips and tricks he used to make this song sound huge. This mix was performed with 95% plugins except for analog summing and some key analog mix bus processing. This is your opportunity to see how the pros manage a big session and what goes into mixing a major label release. Be sure to check out how Fab collaborated with The Arrows to produce "Words to Say"
Good morning children! Today we're gonna do what children do, we're gonna play with a puzzle. But instead of putting the puzzle together like they do, we're gonna take it apart, because that's the kind of people we are! The song is called "Words to Say," by a band called The Arrows, from South Africa. They're fantastic, and I was lucky enough to be able to produce and mix their record. We're gonna work a little differently, because it would be virtually impossible to take this track from zero to finish in 2 hours, or 3 hours, or 4 hours, or even 10 hours. So what we're gonna do is we're gonna take a guided tour through the insanity that is the mix of "Words to Say." The first thing we should do is take a look at the version number of the mix. Which means that I mixed this song 8 times, and then a little more. Why would I have to mix a song 8 times? 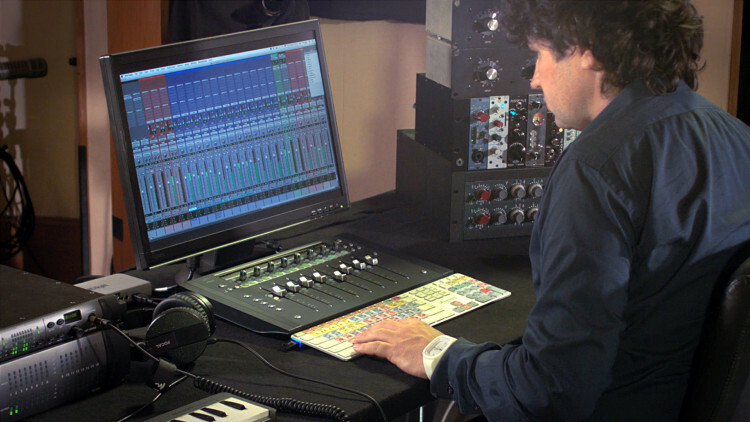 It brings an interesting question: how long does it take to mix a song? It depends on the song. Let's take a look at why it took me 8 attempts to get this to sound right. Then it repeats, and there's a really great bridge which we'll play later. If you look at the Pro Tools mixer, I have my regular organization, from left to right, drums starting left, then bass, guitars, keyboards, vocals, background vocals, door slams, special effects, stemming, and then ancillary stuff. If you look to the left of the mixer, you see that I tend to put electronic drums all the way left. Here, I have some sort of a tom fill, a Rhythm 77, which we'll look at in a minute, 3 DMX samples, Boom, and a cymbal crash, apparently. Then I go into real drums, which I put in green, 3 bass drums, so I have 3 bass drum microphones, then a Sub, and then something in light blue that's electronic, we don't know what it is yet, we'll look into it. printed toms, a tom reverb, then a bunch of rooms and cymbal microphones which apparently I wasn't too enthused with since they're at zero. A Drum bus, and then another Drum bus with apparently a gnarly compressor on it, that must be parallel compression, and another one called Parallel Compression with distortion on it. That's gonna sound interesting. A snare tail, another tail, a non-linear reverb, which is probably a gate. Then we switch to bass, in red. Electric bass amp, Electric bass DI, a Sub for those two... then a duplicated DI. I wonder why I did that for, we'll have to look into it. Some riff, and apparently it was new, because it says "NewRiff." Then guitars, 1, 2, 3 guitars, which we tracked in Paris, the riff was tracked in Paris too. Electric Guitar through an Avalon DI. A delay throw on the guitar! Ah ha! And then in pink of course, keyboards. MS20s, some piano riff, another piano that was tracked in Paris. and then a bunch of little things that are supposed to sound pretty. A reverb for the keys, a delay for the keys, and then, a whole bunch of vocals. Then a whole bunch of backgrounds, doubles, about 30 tracks of vocals in total. And then reverbs for the backgrounds, delay for the backgrounds, and then the stemming, and then the printing. And that is why it took me 8 attempts to make this song sound right. It's an enormous amount of tracks. Here's how I function when I mix these kinds of songs. Every track goes to a stem, either directly, or via a bus. For example, if I look at the Rhythm 77 beatbox, that is going straight to EDrumsStem, Electronic Drum Stem. But if you look at the 3 bass drums right here, first they go to a Bass Drum Sub, so I can process the 3 of them together and get them glue, and then it goes to the Bass Drum Stem. If you look to the right of my session, you have an Electronic Drum Stem, a Bass Drum Stem, a Drum Stem, a Bass Stem, Guitar Stem, Keys Stem, Lead Stem, and Background Stem. The benefits of working this way are multiple, and endless, and wonderful. Let me show you. First, for example, say you want to listen to the verse with just the drums and the bass. You don't have to go throughout the session and mute everything, you can just mute the stems you don't like, like these 4, and press Play. If you want to hear just the bass drum and the vocal you can mute everything but the bass drum and the vocal! Not super useful, but you can do it! The point here is that everything being separated in little slices gives you the benefit of listening to whatever you want very quickly. Also, it lets you process groups of instruments together very quickly, and very elegantly, throughout the whole mix, as opposed to just at the end. For example, if your client is gonna play this record live but doesn't have a 25-piece band... Easy! You say: What do you want? You want the bass drum separate? The drums separate? The bass separate? Here you go! You want the bass drum separate? Mute everything, record the bass drum! Mute that, record the bass! With all the processing, perfectly aligned, perfectly in sync. Isn't that wonderful? Another benefit of working in stems is that you're set up for analog summing. If you pay attention, the output of everyone of these busses is actually sent to a physical output of my interface. So! You'll notice that the EDrumStem goes to C 1-2, Bass Drum Stem, C 3-4, etc., etc., until D 7-8. Then, that goes into my 2-Bus, then the output of my 2-Bus is connected via the patch bay to the input of my Liaison, and the output of my Liaison is connected to the input of this Aux right here, on which I have a couple of plug-ins, and then I print that onto a track. If you want to know more about the analog summing proper, you should watch a video about that. But that's the principle. I have all my tracks going to stems, the output of the stems go to my 2-Bus, the output of my 2-Bus goes to my Liaison, which I use to process, or not process, depending on my taste that day, and then I print that. It makes sense? If you're curious to know what I have on my 2-Bus, via the Liaison, on Insert 4, I have a Dangerous Bax EQ, and on Insert 5, I have a Dangerous Compressor. That's all the hardware there is on this mix. No other hardware other, of course, than the Dangerous 2-Bus. on the stems right here, and scroll all the way to the left of the session, and take a look at everything that's going on with drums. Let's start at the top of the song. So! We have... nothing but acoustic drums for the first verse. Then on the second verse, we have some weird kind of like march coming in from an old beatbox. Then there's a pre-chorus, and instead of going to the chorus, we go to another verse, where the beatbox stays, then another pre-chorus. The pre-chorus is the part where the hi-hat goes... (sings the part) And then, we go into the chorus where everything comes on, where the DMX samples come on, and it sounds huge. Let's listen to all the parts separately, and analyze why they sound the way they do. The acoustic bass drum sounds like this by itself. You hear the bleed from the rest of the instruments, and that's the actual bass drum, there's 3 microphones. If I mute every plug-in on the bass drum, it's gonna sound like this. And then you have a Sub microphone, one of those speaker deals. I see no time alignment plug-in, which means that they're relatively in phase. So, I have gates on the inside and outside microphone, probably because I thought that I was gonna compress this a lot, because it's modern, and it's got to be in your face, and the bleed from the rest of the instruments would become a problem so I put the gates. It sounds like this. Not gonna change the course of modern music, but I may gain a couple of dBs. You notice that I'm high-passing very much and I'm also cutting all the fat around 120, because it's a little wooly. What I'm looking for from this bass drum microphone is the punch, and the click, not the "Woomm." So I'm happy with this. You'll notice that the high-pass is being tuned so that the two of them still feel in phase. Then, on the second one, I'm adding a little bit of compression. I'll gate it first, or expand it, so I get rid of some of the ambience, and some of the bleed from the other instruments. That allows me to then compress it to give a tone without raising the noise floor too much. So this is flat, without the compression. Because of the compression action, it actually lengthens the bass drum a little bit. The two of them together sound pretty cool. And then there's the Sub. So the Sub is EQ'ed this way. You'll notice there's also a high-pass in the same area so it doesn't get out of phase. It sounds like this, without. It's just a question of getting the phase together. And a little bit of compression. So these 3 bass drum microphones are then summed into an Aux that I call a Submix, or Sub for short, not to be confused with the Bass Drum Sub microphone, which is a speaker you put in front of a microphone. It's confusing! And that Submix has some plug-ins on it. Why not put the plug-ins on here? I have found over time that the way I function is I get the 3 bass drums to work together, then I have this Submix, and then I mix everything else, and then, as other things evolve, I feel the need to enhance the bass drum sound again. And I can do that on all 3 microphones at once by processing the Submix, as opposed to processing the separate microphones. So for example, here, I have another high-pass, and then I have a little bit of compression, and then I have a Pultec Pro that gives me some 60, and some 200. That is an obnoxious amount of gain! So it's difficult to hear before and after. Let's try and do that. Ok, that makes sense. Without... all three. So it's fatter, and more forward. I'm gonna bring the gain back up to where it was, because if I don't, it's gonna throw the whole mix off. Side note: this is really bad behavior. I sucked at this. I should always make sure that my pre and post plug-in levels are more or less the same, so that when I bypass a plug-in, three months from now, or a year from now, I can hear pre and post without ruining the mix, and knowing exactly what the plug-in is doing. One more thing on this bass drum that's unconventional. You may notice here something called "NON LINEAR." This guy. That's a send, and it goes to a bus. And in that bus, there is a plug-in. And that plug-in is a non-linear reverb. So this is the sound of the bass drum without the effect. Listen to the tail, just the end of the sound. It's not as abrupt. It's more extended if you will. Again, without and then with. But didn't your mother tell you never to put reverb on bass drums because it makes a mess? Absolutely! And we don't care! In this particular case, I felt that the bass drum was disconnected from the rest of the mix, and too dry, and too forward, and didn't have any sauce. And I like my dishes with sauce, so there! Another trick I used here is I actually augmented the bass drum with a sample. I'm using Trigger, and this is what the sample sounds like. that the sample helps with the "Pppt!" part. That's a technical term! I'm gonna raise the level of the sample so you can really, really make it out and then I'll bring it back to a more metrosexual level. So it punches. And that's what we need, because it's a big song, with a lot of stuff, and there's a lot of bass drums and they all want to be the one! And so... this one helps this bass drum be the one. So that's the beginning bass drum of the song. Here! The groove is based on a tom pattern, this tom pattern right here. That's not how it sounds in the sauce. small! Also, it rings a lot, which means that if I push it loud, it's gonna make a bloody mess. More of a mess than the reverb on the bass drum for sure. So what I did is I actually ran the track through a MIDI detector and used a sampler, and I played the tom sample, under it, perfectly in phase. Check it out. This is the sample. Who votes for "With sample?" Who votes "Without sample?" With sample! Good choice. Here we go! Of course, there's a high tom too, so I sampled a high tom too, and the high tom only plays a couple of times, we'll hear it when it comes in, and then I added some reverb on the sample only. Why that? Good question! Because if I add the reverb on the real tom, the reverb is gonna be on everything, the snare bleed, and the high tom bleed, and the hi-hat bleed, and everything. It's gonna make a mess! Even more of a mess than the reverb on the bass drum. So I put the reverb just on the sampled tom. Notice what happens if I mute the reverb. I'll start with, and then I'll mute it. If you mute the reverb, everything feels kind of lonely, in its own corner. If you add the reverb, it creates a sauce in the back of the track that sounds like family, because it is generated by elements of the track. It's better than a pad, and it kind of acts like a pad for the drums. Side note: the snare drum microphone is also responsible for a good part of the tom sound. Check it out. This is just the snare microphone. Notice there's no compressor on that track. The reason why there's no compressor on that track is because if I compress the snare, it would also compress everything in that track, which would bring the level of the tom up. And we don't want that, because we like the tom sound. There are ways to go around that, which we'll see in a minute. Quickly, the overheads sound like this. They're not crucial, check it out. They don't really change the sound of the drums. However, when he hits a cymbal, the overheads help. Everything else is so close-miked that I won' hear the cymbal very well in the other mics. Basically, those are still there just for the cymbals. We'll talk about cymbals in a minute. The Mono kit and the cymbal mics, apparently I didn't like the sound of them because they're incredibly off. Then the Drum room, same thing, is up. There's no processing. It's just extra noise to create buoyancy, and happiness, and joy, and things like that. All that stuff is being bussed into a Drum bus that has a little bit of limiting on it. Just to keep the peaks on that snare down. All these drum tracks are sent to a bus that I called Drum Sub, for Submix, and I assigned that to an Aux. I also used that bus to feed the parallel compression bus right here on which I have my dbx 160. If I listen to just the direct drums without parallel compression, it sounds like this. For reference, this is the parallel compression bus without the EQ, or the dbx 160, or the limiter. And this is with all three of them. I did not set another Aux, with another bus, and have a different mix for my parallel compression. I basically took the same source as my direct clean bus for the drums, and I used that to crush them, and then I used the fader here to decide how much parallel compression I want to tuck under. Apparently, I wanted to tuck about this much. Now the point here is the bass drum is nowhere near those two busses, the clean one, or the parallel compression one. Because I know there's 80 or 90 tracks of stuff and I know that the first thing that's gonna collapse when I start putting everything together is the bass drum. The last thing I want for this kind of music is to have to fight to keep the bass drum in the middle. Putting the bass drum in the parallel compression bus would make it a little fuzzier, a little more connected, and I have no control over that connection. There's this Drum Parallel track, which means that it was recorded with compression on it. So this is what it sounds like raw. Then an EQ high-passes it to remove the "Woomm!" thing. Then Decapitator probably gives it vibe. And then, the dbx glues it together. Day after day, version after version, based on the feedback from the band, and my own change of feelings on what I did the day before, it gets more and more complex and more and more layers get added, it's like a tree growing, and then you get there! If I started from scratch today, it would probably sound completely different. It may be better, it may be worse, but definitely different. On the second verse, we have a guest! This is our guest! It's my old Roland Rhythm 77 preset beatbox. And I probably selected the March preset and tried to match the tempo, which it probably didn't, then I recorded it into Pro Tools and I sliced it up, and matched the tempo. But it's still a March from a Rhythm 77 from the 70s, or 80s. The point here is it's a different texture, and it adds a really nice layer and groove to the other drum set. Even though this came out of a box that was designed to be put on top of your home organ, so that you could entertain your guests and family when they visit from Ohio, in this particular case, it actually gives a bit of a gnarly vibe and manly vibe to the track. Check it out again. Rrrr! So! By itself, it sounds like this. I then removed that "Mmm" thing with an EQ. And then, I gave it a space! Simple, repetitive, just what we needed. As a reminder, this track started as a demo that The Arrows did themselves in Durban, South Africa. Then we met in Paris, we travel a lot, and we worked together on it and came up with a bunch of tracks. Part of those tracks was a DMX sample that I like, that I added because I felt it needed something on the chorus. The current drums at the time were some sampled drum and they were not super happening. Now we have the DMX, but since then, we've recorded the acoustic drums, so do we want to keep the DMX that we put there because we felt the chorus was not happening? Do we want to get rid of the DMX because the real drums are really happening? This is the chorus with the real drums, the DMX samples, and the Rhythm 77 March top-of-the-organ, family-entertaining beatbox. And I forgot the Boom pattern that we actually added in Paris too. Rhythm 77, DMX, Boom, and acoustic drums. Without the Paris tracks, it sounds like this. Who votes for "With the Paris drums?" Who votes for "Without the Paris drums?" With? Good choice! I like that we always vote the same. Processing-wise, Boom is left alone, it's actually still playing from the soft synth plug-in. We liked the sound the way it was, left it that way. It does its trick, it's fantastic. The hi-hat, the DMX hi-hat, same thing. The DMX snare apparently had a little ring at the bottom. Just a little shine, and getting rid of the head cold. That's a bass drum for real men! What happened here with the DMX is I probably soloed the real bass drum, played the DMX bass drum raw, and try and find a spot where the DMX bass drum could fill what the real bass drum does. And the Boom track too. So you'll notice that I'm using the DMX in the 200 and the 400 range, where it can be difficult to get a real bass drum to really hit, but the sample is really easy. So the sample is taking care of that... where the real bass drum can't, and the real bass drum is giving the joy, and the buoyancy, and the humanity in it all. Then, I'm adding even more of that with the SPL Transient Designer on the DMX. You'll notice that the Sustain is down. What's that Sustain thing? This is great, because it lets you paint the length of the bass drum. Now I can shorten it. If you notice, the effect of it on the entire bass drum is this. And then, the Summit EQ is probably just to soften the transients. I was probably planning to use it for something else, enhance it and make it fatter, and then I forgot, or it didn't work for me, but then when I muted it, that tiny little thing it does, I felt a little bit OCD over it, so I decided to leave it instead of ruining the rest of the mix, because that's the kind of person I am. So that's how drums sound for the song. Let's turn the bass on, and check it out. So basically, I know that the bass is not gonna be fat enough to be "the bass". So I'm using it as an ambassador for the bass, making it shine in the area where there's room and leaving the rest be. It adds a little fatness. Decapitator, because when you can, you should. And then Tape Head, because that's a different kind of distortion. I kind of like Decapitator into Tape Head. Trying these kinds of things gives you ideas and lets you make happy mistakes, and for the rest of your life, you will always use Decapitator into Tape Head, no matter what you do. That last EQ is probably there for the fact that you should probably not be using Decapitator into Tape Head for everything until the rest of your life. Then, we have a duplicate of the DI and I've put a bunch of stuff on it. What's that for, since I already have a DI there? I'm doing parallel processing. The reality is that this is just not enough. The synth we recorded in Paris. If I mute it, it sounds like this. with the Pultec. This Pultec is always great if you want to add bottom to something. A couple of clicks at 100, quite a few clicks at 200. And then, EchoBoy for space. That is a 1/16th note delay, with feedback, but with the high-end cut on the return. So it's not a reverb, but it does give a tail. Again. It sounds less demo-y, and less dry with a little bit of that tail. But still, this plus the regular bass is not enough! So I added a duplicate of the DI which I crushed. This is how it sounds raw. So I see a Little Labs In-Between Phase here. This EQ here, I'm using as a extreme high-pass, because all I want is the buzz from the extra DI, the fat coming from the original sound, composed of the amp and the DI. So this Little Labs is here to compensate for the fact that I'm using an extreme high-pass filter on that extra DI. The fact that I use an extreme high-pass filter kind of ruins the phase between the direct sound and this DI. Just a little bit of state power. And then a little delay to give it space. This is flat. And now, the three of them together. If you listen to just the synth and the bass we did in Paris, without the DI trick, it sounds like this. And in the sauce of everything, without. You need that DI to give focus in the middle and make sure that the bass is really anchored and never wavers. So that's the bass sound, that's pretty much it. Which is basically exactly what we did.. I probably have a little bit of a cleanup at the bottom, and a little bit of compression. Without, it sounds like this. We knew what we wanted, and we did it well, so there's no need to torture this sound into something else. We just need to adjust it a little bit so it fits with the 800 other tracks. That's about it for this one, no big deal. The next one started as a DI recording, straight into the box. Then we used a Waves Guitar Stomp to give a nice, gnarly octave vibe. That was done during the recording session. Then Eleven to give it more of a guitar vibe, as opposed to a synth vibe. This really qualifies more as a bass than a guitar, but it's fun anyway. And then a little bit of a delay. Without the delay is like this. The delay is all the way to the left. And with the bass... es! Basses! Awesome! There's one more guitar that comes in on the pre-chorus, I ran it through a synth filter in real-time while I recorded it. There's a first EQ to give it presence. This is probably due to the amount of stuff that's going on in the chorus. And then, a little bit of the Neve vibe. I don't know why I have this on, let's figure it out. With and without. There's a nice saturation. Without. It's super subtle, but it will prevent it from sticking out of the track on that one hit, and the subsequent hits, and it will give it a little bit of a softer, gentler sound in the sauce of everything. And then... A reverb. That's this 250 there, I love this reverb. And then, the same delay. That is awesome. And then, after the Paris session, I added two more filtered guitars that I think were interesting to double the line on the chorus, that go like this. It's kind of the same vibe as what we did in Paris, a guitar through a synth filter, but they're stereo, and they have delays, and they help transition and soften the exit of the chorus. Let's listen to all guitars, plus drums, plus bass, on a verse, pre-chorus, chorus, so you get the progression of the arrangement. Here we go. Cool! Let's move on to synths. Keyboard-wise, in Paris we did this. I needed to open it up, because there's so much stuff going in the low-mids. And then, the Moog filter to give it more of a bite. And then we use Xpand! to do that 80s synth-y kind of thing. If you wonder why there's a big peak here, it's because there's room in the track there. So I took advantage of it. And then, Devil-Loc, which is a great crush box. You can't listen at the same level pre and post with Devil-Loc, it's a shame, but, it doesn't matter because it's so good that I use it anyway. And then EchoBoy for space! Then there's the Reason thing. I played with it a little bit after the Paris session to give it some detail and cool little things, and then I added some reverb. The reverb is the 250 that I love, and then the delay is, you guessed it, EchoBoy. It's a 1/8th note delay, and it's high-passed a little bit, and it's a really thin delay, it's the Transmitter model. It sounds like this... Just the delay. So... these little sequence-y parts are always good to put a little bit of reverb. I like it, because it gives height to the part. It also gives it a more grandiose vibe, as opposed to just somebody doing (plays little notes) on a keyboard. It gives this majestic quality to it. Check it out in the track. I'm gonna play the same thing and mute reverb and delay every 2 bars, so you get the vibe of what they do. So these are my reverb and delay right here. Here we go. We start with. It does this. And that's what we need! That's what the keyboards are for. Because I wanted a piano and I could. I also use that on the verse. Somewhere I think, if I remember well. Here! On pre-chorus actually. I really like the filtered gate idea we did in Paris on the fake piano, so since I had a real piano miked up, I said: what would a filtered gate sound like on a real piano? Well, it sounds like this. the piano hits, and then the gate tries to close it, but it doesn't quite know what to do, and it gives that "Krrr!" thing to it. Which makes it weird, and we love weird! Here we go! I also added some MS 20s on the verses to go with the choir that was "La, la, la, la! ", check it out. And then its little brother on the left. Played twice, because we're not lazy. It's a puzzle! And here's another piece! Check it out! Here, at the end of the chorus, before the verse, it goes like this. What's that? That is a piano hit, which I reversed, and cut up. And then the other two pieces go "Pop Pop!" And that's to create a transition with the verse. If I play the end of the chorus without this transition trick, it sounds like this. Much better transition, and a lot more fun. These days, we all make music with computers which, let us not forget, were designed to do word processing, and not music. And it shows! Now, the biggest problem with computers is the copy/paste function, which most of us think as a benefit. But it's not! The problem with copy/paste is that most of the music has already been heard somewhere, because it's a copy/paste! Also, copy/paste tend to be used from bar to bar, which means you copy a whole chorus, which means that the transition between every part is really forgotten because there's no real special transition copy/paste function in your word processor. So! It's very important as a producer, or as a mixer, to pay attention to your transitions, otherwise it sounds like word processing! Side note: I get asked the question a lot about where do I draw the line between production and mixing. Very good question! These days, it's blurry. Because of the word processing thing. Because you can do just about anything, and add stuff, and remove stuff. It really depends on the ego of the producer if you're the mixer. In this particular case, I was the producer. So I had a conversation with myself, and I let myself do whatever I wanted for the mix. But it may not be that easy. Sometimes I don't let myself do what I want, sometimes I had to fight myself to let myself do what I want, if you know what I mean. So, production and mixing, at one point, are gonna completely merge. Some people basically mix the track while they produce it, and some people hire somebody to mix it, it's not that in stone, and that's the key. It's blurry, it moves, there's no dogma about it, and let's not have any dogma about it. Let's get back to transitions. We saw the piano one at the end of the first chorus. Before every chorus, you may not have noticed, there's this little thing here. It's a tom fill. Check it out. This was actually created for this song. It's not a found sound. I had him play a tom fill, because I felt maybe it'd be cool. Usually, people do things like this, I'm sure I have one here. Check it out. This is cool too. This is a reverse cymbal. You can do this very simply. Drop a cymbal sample in your timeline, copy it, use the Reverse function to turn it around, and then, aim it so it feels good, just tight on the beat. That, plus the tom, really help. Those little details make the difference between interesting productions that will bring new stuff to listen to to the listener every single time, or just a flat track that just sits there, because it was done in a hurry. Transitions not always have to be something special, they can also be "nothing" special. For example, at the end of the first verse here, there's a hole that I just cut in with automation. The fact that there's a space there, in a wall of sound, makes it an interesting transition and makes it different from the other transitions in the song. That's your touch. Make sure you pepper little things like this here and there in the song, otherwise it just gets boring. It can also be cool to use special effects on existing tracks to create smoother transitions. I showed you earlier on the guitar that there's that extra line that comes down that has delay on it, and I used the same trick here on that "If I Only Knew" part. Check it out. So what's going on here? If we go and look at the tracks, there's three tracks saying "Oh If I Only Knew." And that's all bussed into this Aux right here, and I have a reverb on it, a big reverb. So all flat, it sounds like this. That's a lot of plug-ins... So flat! Those backgrounds are actually from the original demo they did in Durban. I like them, why redo something that's great? So I cleaned them up by using a little EQ to high-pass it. And then I made them cloudy by adding a big reverb, 8 seconds. It fills the holes in between the syllables. Then, I soften them with the Studer. Again, these were probably brush strokes. Maybe I did the reverb, then I went back to do something else, and it was too bright, so I added the Studer, and then it didn't work, so I said: but I like the Studer, so I'm gonna modify that by high-passing further. That by itself is atrociously bright. But that's ok in the track. If I play the same thing without this EQ, look what happens. It clouds the bottom and makes a mess, we don't want this. So I'm gonna keep that EQ. Then a little bit of Devil-Loc for bite. So this is without the Devil-Loc. In this particular case, I'm obviously looking for that "Krrr!" thing, that bite, that aggressiveness, and those artificial sounding breaths. Check it out. Everything feels mediumy, and cardboardy, and compressed, and ugly, and that's the point! Ok! Then a little bit of reverb, because you can't have too much reverb. There's the reverb that I put on the Aux to create the cloud, and then there's this reverb, which is a 140, this one right here, that I use as a tail on all the background vocals. The second Aux here says: Background Reverb 2. It's a lie! It's a pitch thing that I'm doing with this Waves plug-in. It's basically the same signal pitched off a little bit, 6 cents to the left, and -6 cents to the right, and put back with the original signal, so it gives this otherworldly kind of chorus-y, but not really chorus-y vibe. That is an old trick you used to be able to do with an SPX90, called Ensemble, if I remember well. So, all those effects create with the reverb... this! But what of our transition? Check it out! It just sits there. However, I decided to do a delay throw. So I have this delay send right here that I automated, as you can see here, so there's no delay, no delay, no delay, and when you get to this part here, it just sends all the signal from the bus into this other delay that I set up on this track, called FX Delay. So on just the word "New," I'm gonna add an effect. I'm making it weird with the phaser, then I'm putting a delay on it. Now the word "New" is gonna lay over the transition, and then since I just can't help myself, I also have PanMan, which is gonna make the effect go like this. That was obnoxious! Let's put it back where it was before. There's a reason why it was there in the first place. Speaking of vocal effects, let me show you something else. We haven't heard the bridge yet. Let's listen to the bridge. That is a really great bridge. Let's listen to just the vocals on that broken down chorus at the end there. It's kind of cool, check it out. We'll talk about the vocal sound after. But right now, let's talk about this part here. With the lead, it goes like this. Pretty cool right? So you have the sound come before the sound, and it's reversed. But it's not really reversed. I'm using the built-in, trusty Avid Non-Linear reverb. The track sounds like this, raw. Slightly aggressive and compressed, and distorted. I'm running it through the Reverse setting on this reverb. And I took that whole clip and moved it forward, so that the direct sound without the reverb is early before the actual real chorus. Which is pretty cool, but messy. So, then I compressed... well, then I EQ'ed it, because this gave me a headache. It sounds like this. So I removed the bottom and the highs, as to not hurt my feelings, and then I used the built-in Digi compressor and I used a key. So the main track, the lead vocal, has an Aux that goes to a key, which is just a bus. And I'm feeding that to the effect track. The purpose of that is that whenever the real track is playing, the reverse track is getting compressed. So the reverse track is never gonna cloud the real track. Whenever the real track is playing, the reverse track is getting compressed. Whenever the real track is not playing, then the reverse track is gonna come up. Playing with the release and the attack on this, I'm able to do this play between the two tracks, and it sounds like this. And that is probably why I keyed it, so you hear it come in between the direct lines, you can hear that reverse come in. The one place where it's different is I actually chose to automate the reverse off here in the bigger hole, because it was just too much, and it made no sense lyrically. But this is a funny fact that's easy to do, that you haven't heard many times. Check it out in the track. Not as much fun. And not as good a transition! Check it out. Fun! Let's look at the lead vocal. I'm removing stuff... We shouldn't look at this... in the absolute, we should look at it in context. All of this is done in context, because the vocal by itself sounds great. it has to fit in this little hole right there. So... I'm removing some stuff that's probably in the way in the track. It makes no sense by itself, but I'm sure it does with the rest of the plug-ins. She's so good, almost no compression because she's super controlled. There's like 2 dBs of compression, nothing to talk about. However, probably on the chorus it gets loud. No! She also knows how to control that. Amazing singer! And then, I'm adding a little bit of 200... for body. It's subtle, but it's important. Then, compression. This is mostly for tone. Then a Supresser to remove that "Gnnee" thing, that's part of close miking. I'll play you the frequency I'm looking for. Alright? This is the full track without the effect. Hear on the word "Say", "Gnnee" thing? And then, with the Supresser. Magical! Then, I have a bunch of reverbs on it. But they're not all there all the time. So the LeadVerb, LeadEcho are there all the time. And then I have two hardware reverbs on this song. I'm gonna make it very loud, so you can hear exactly what it does, and since it's a hardware reverb, and it's old, it goes "Gnnee!" But it also creates that cloud that's indefinable, and that I haven't been able to make with the plug-ins, so I'll take the buzz in exchange for the nice cloud. I can always gate the buzz. And then, there's a BX 10. And then there's the key we use for the effect on the bridge, and then the long delay comes in on the chorus. That is because when the chorus comes, there are so many tracks coming in, and so much stuff going on, that the vocal felt detached from it. I'll play you the whole track, and you can hear the sound of the vocal without the delay, and with the delay, on the chorus. Check it out. So this is without delay, first. It creates a sauce that makes it a whole with the rest of the track, as opposed to being just pasted on top, which is important to me. Now, everywhere on this track, there is a 2nd, and a 3rd vocal track. On the chorus, there's a plain double that sounds like a double. Wish she was a little further from the microphone... Fine! But... throughout the whole song, there is this. What is this? This is her vocal run through a distortion. Where does it come from? It comes from another song actually. They had done a Logic demo of another song, and they had this weird distortion effect on it, and I really loved it. So when we did the vocals in Paris and I did the track, I was like: Hey! I would like that effect! So I flew this vocal into Logic Audio, used their original preset from the other song, distorted it, flew it out of Logic back into Pro Tools, and that's the sound right here. The combination of the two is awesome because it gives the bite. And on the chorus, it's awesome. We actually recorded four backgrounds in Paris that sound like this. Which I'm running through the ringer, the reverbs, and delays, and everything. Every other vocal is actually from the demo. There is no reason to not use something that's from the demo if you like the sound of it. It's not because something sounds better that it's necessarily better. Maybe sometimes the fact that it sounds a little off is beautiful. In this particular case, everything sounded good, I just like the way it was, and it was up to par, at the level of everything else we did during the production session, so we kept it. It saved time, and it saved a lot of grief recording four times the same part over, and over again. So... We've looked at every instrument group, and we've looked at the lead vocals, and the background vocals are pretty much self-explanatory, they're just what they are, they're just sitting there and drenched in reverb. Now I'd like to talk about the 2-Bus processing chain. If you remember, every track goes to a stem, or to a bus and then to a stem. These are our eight stems here. And then the stems go to physical outputs of the interface, which go into the 2-Bus, and the 2-Bus goes into a Liaison, and the Liaison has some goodies inserted on it, and the output of the Liaison goes back into Pro Tools. Then we print it, and then we go to bed! However, the smarter, or less tired people amongst you will have noticed there's a bunch of plug-ins on those stems. Why are they there? Because the world is not perfect. well, the limiter plug-ins, because that's the point, the point of these stems is to be able to do micro limiting on every single stem. Here, you can see it here. A little bit on the Drum Stem. And then, nothing on the Vocal Stem, and nothing on the Background Vocal Stem. Because the Oxford limiter has a sound of its own, if I bypass all these plug-ins, you will hear a different sound. It's a little fatter with the limiter. Maybe we should do it. Let me move them all to one insert and turn the Stem Group on. I'm gonna modify the Stem Group to make sure that the bypass of inserts is part of the thing. So if I bypass one, they're all bypassed. Now we can hear the difference. We also have here a transient control system. The transient is the attack of the sound, and I'm using this P&M transient control on the Drums Stem, on the Electronic Drum Stem, and on the Bass Drum Stem. This is what they sound like with and without. I'm gonna mute all the other stems so we only hear those two. As you mix, as the day progresses, or the days progress, you'll find that a lot of the stuff kind of tramples on your transients and on the attack of the track. The more tracks you add, the heavier it gets. It's nice sometimes to be able to get a little more of a peak through, just on those percussive instruments, without making them louder, just having more of the attack, so it feels louder. But it's not louder, so it doesn't ruin your balance. a track can go directly to a stem, or to a Sub before it goes to a stem. If it goes to a Sub, I would work on the Sub. But say I have for example, let's take an example, two basses that go to a Sub, and then some copy of the DI that's processed, and they all go to the stem, well... maybe I would want to EQ that so that the three of them actually are affected together. In this particular case, it looks like I did. Probably, through the layers of mixing, I got to a point where it was a little too fat in the 150 area compared to something else, and I cut it, and then I looked for a little bit of a shine here. You noticed that it's a little cloudy without the EQ, and you don't read that "Krrr" thing as much. I'll play it again. Without, first. You noticed that the same thing happened to me probably on guitars. Yep! And on the keyboards. Let's listen to the track with all three EQs on and off. Clears up the low-mids, gives it a little bit of a shine, leaves some room for the vocals... It's subtle, but it's very practical. Then, after all this mess happens, we go through the 2-Bus, and then, we go through the 2-Bus chain. The sound comes out of the 2-Bus and gets into the Channel B of the Liaison. Right now, I have Inserts 4 and 5 activated. Which means that Insert 4 is my Dangerous Bax EQ, and Insert 5 is my Dangerous Compressor. Which means that the sound goes all the way here, untouched, then goes through the Bax, then goes through the Dangerous Compressor, and then out into the 2192, back into Pro Tools. If I want to hear with just the EQ, I turn the Compressor off. If I want to hear just the Compressor, I turn the EQ off. If I want to hear and compare the whole 2-Bus chain, I clear it, but I can recall it with one of the Liaison presets. For example, the track by itself, raw, with no processing on the 2-Bus sounds like this. It's the sauce. It adds a little bit of magic. The settings are pretty simple. On the Bax, I have a high-pass at 30 to get rid of the rumble, and too much accumulation at the super bottom, which I don't need and will make the track heavier, and more difficult to master loud. Plus 0.5 dB at 74. Plus 2 dBs at 4.8k for shine, the 74Hz being for the "Boom! Boom!" And then a low-pass at 70, just because I can. If I want to listen to the track with and without just the EQ, I can do it here, but I'm in the habit of doing it here. It provides the shine, and the tightness at the bottom, it's cool. For the compressor, I'm using it just to tighten, bring everything close together. I'm using a 1.4:1 ratio, which is not a lot. This compressor is completely transparent and has no sound of its own. It does what it's supposed to do, it's written here: Compressor. It compresses, that's all it does, so I'm able to really hear the gain reduction, as opposed to the tone of the box changing my mix, which I really enjoy. The Bass Cut makes sure that the compressor doesn't see too much bass so it doesn't overclamp on bass. The Sibilance Boost actually boosts the bright, annoying part of the signals so that the Compressor clamps down more on that. It's a very useful Sidechain thing. Don't touch the bass too much, and make sure you catch as much of the annoying stuff as possible. Then, the Smart Dyn is a two-level detector system that's really cool and lets you keep your transients happy, and the Soft Knee is because I'm a soft kind of guy. The only other thing I do is play with the Threshold and compensate for Gain, it's really easy. So the Compressor, I'll change it up here again, the Compressor on and off sounds like this. Listen to the density of the track, and the presence of the drums in the track. good, and definitely together! So there you have in a nutshell the reason why it took me several passes to get this song to sound right to my ears. The pieces are ready for you to download so you can try and put it back together yourself, in your own recycled word processing machine! Et voilà! I voted against the Paris Drums. Fab made a mean cheat, I'll tell my mom. Can't watch the whole video after purchase .. Video length in the streaming player is only about 6:28. Waiting for a fix. The reverse vocal effect after the bridge is one of the coolest tricks I've learned in a long time. Now, how do I tastefully use that? :) Great video Fab! I have to ask: on the lead vocals, why the 3dB cut at 250Hz with the Oxford EQ, only to boost at 200Hz with the Pultec - 10th dimensional chess, making use of the unique slope and character of the Pultec vs the Oxford, or did you dip the lower-mids during one pass, and then boost later, feeling it was thin? That was such a good job, I've listened that music in Spotify and was fantastic..
Hi, As far as I hear, there's some clicks on the drums. Maybe it's just the broadcasting. Amazing video. This changes completely my concept of bus processing. It's embarrassing to find out how much you know about mixing after many years studying mixing really hard, but one day you discover it never really made any sense until someone explained it and used it in front of your eyes. Thanks Fab. @iorio Pleasant surprise: Spanish subtitles were just added for this video. Best video ever. This is deconstructs the mix instead of building it from scratch. So much more ground is covered. Love the song! love the production tips as well. Excellent, informative video and a great song. Question: what are you hardware reverbs that create such a great, smooth cloud? Not my favorite from Fab. I think the site has other videos that really dive in to the mix. This was kind of a lazy fly by. Not worth the price. I love this site and think it's definitely one of the best on the web. Howling mix was great! Check that one out. @sound11advice: It's probably because I was looking for power from that sample and that I get more power in the center. And also that I could create a wider image by not having all sources coming from the same spot. @Fab...Question: What was your thought process on choosing to leave the SAMPLE TOMS panned direct CENTER when the REAL TOMS were panned LEFT and RIGHT? It looks like you had the TOMVERB panned favoring the RIGHT. Great video. @lwaidosch: To get the ProTools faders golden you need to have a certified platinum record..... NO!!!!! It's a PT HD only function called trim mode. @White Cat Studio: I always leave the first insert blank incase something needs preprocessing, like tuning, or tape emulation, before my first Eq. Saves time by not having to move a whole chain of plugs down if I filled the first slot fromt he beginning of the mix. Great video again!!! My question is, how you set up the Attack and Release time on the Limiter on your final stems? And did you keep the INPUT Level of the Limiter at"0" or put it down on diferent instruments? RESPECT!!! A great and excellent video! A lot to learn. Hugs from Argentina! Here my participation for the contest "From creation to final mix". I used PT10 with avid and P&M plugins, also Stale Digital virtual console collection (for demo test ;)). Hope you like it. https://soundcloud.com/adriforn/adrianroig_mixv1_2_the-arrows_creation2mix Advices are really welcome, please! Once again...uber informative. Also, a hats off to your video team maintaining the great audio and useful graphics. Awesome video! Its great to get to hear and see how the the whole production in broken down. I really like this type of teaching. Helps us producer/mixing guys very much. Hope to see more like this in the future! Keep rockin! Love from SF! Great video again Fab... I saw that, for some of the tracks, the first insert is empty. Is there a reason or simply you tried something that didn't works and than remove the plugin? And yes, what are those golden fader? Cheers!! FAB.......another fantastic video! thanks a bunch for the detail and insight.......I also just got a chance to watch the recording of the song videos from Avid with their "creating to final mix" series of videos.......those were spectacular as well! Really cool stuff.